Twas the night (okay, more like the week) before Christmas and little Joshua Barker is in desperate need of a Christmas miracle. 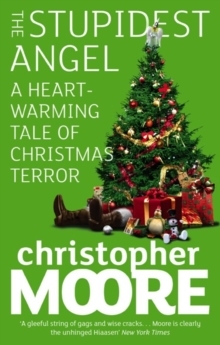 Josh is sure he saw Santa take a shovel to the head and now the seven year old has only one prayer: Please Santa, come back from the dead!But coming to Earth, seeking a small child whose wish needs granting, is none other than Archangel Raziel. Unfortunately, he's not sporting the brightest halo in the bunch and before you can say 'Kris Kringle,' he's botched his sacred mission and sent the residents of Pine Cove headlong into Christmas chaos, culminating in the most hilarious and horrifying holiday party the town has ever seen.